We are located in Centennial Hills, in the Medical Office Building next to Centennial Hills Hospital Medical Center. At Horizon View Medical Center, we are committed to providing the highest standard of quality patient care and we are always prepared for what may come. Our providers and friendly medical staff are here to assist you. We accept all major insurances. Click on “Insurance” tab to view list. Patient forms conveniently available online prior to office visit. Horizon View Medical Center was recently recognized by the American Diabetes Association as meeting the National Standards for Diabetes Self-Management Education. At Horizon View Medical Center, our main focus is in delivering quality patient care and services to our patients. Our goal is to spend the necessary time to truly listen to your medical needs and to address any questions you may have. We know your time is valuable. Our goal is to help you feel better immediately and give you the medical attention you deserve. 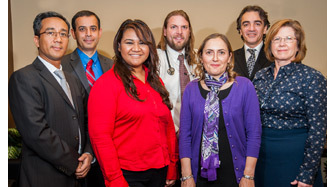 Our providers and the medical staff are committed in providing the highest standard of quality patient care. In addition, we practice professional conduct and follow ethical medical guidelines. We specialize in all areas of medicine including Diabetes Management, High Blood Pressure Control, Osteoporosis, Preventive Care and Physicals. We encourage all new patients to Horizon View Medical Center to be proactive about your health. Don’t be afraid to ask the medical providers at Horizon View Medical Center, questions pertaining to your current medical condition, his/her past experiences and expertise in treating that specific medical condition. 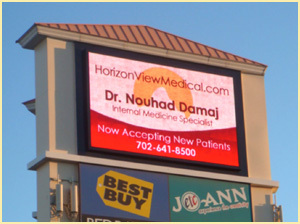 Horizon View Medical Center simply cares about you. Anansa K. Go (Nurse Practitioner) – Our newest addition to the HVMC family!